Join us for an afternoon of fun. 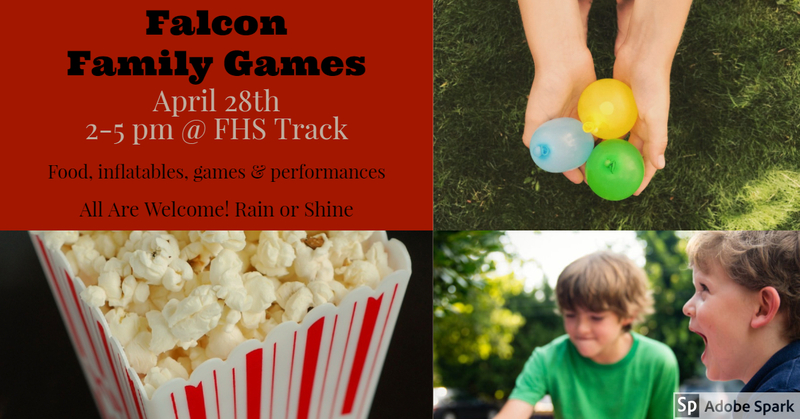 Food, inflateables, performances by the FHS Color Guard and other student groups and more! 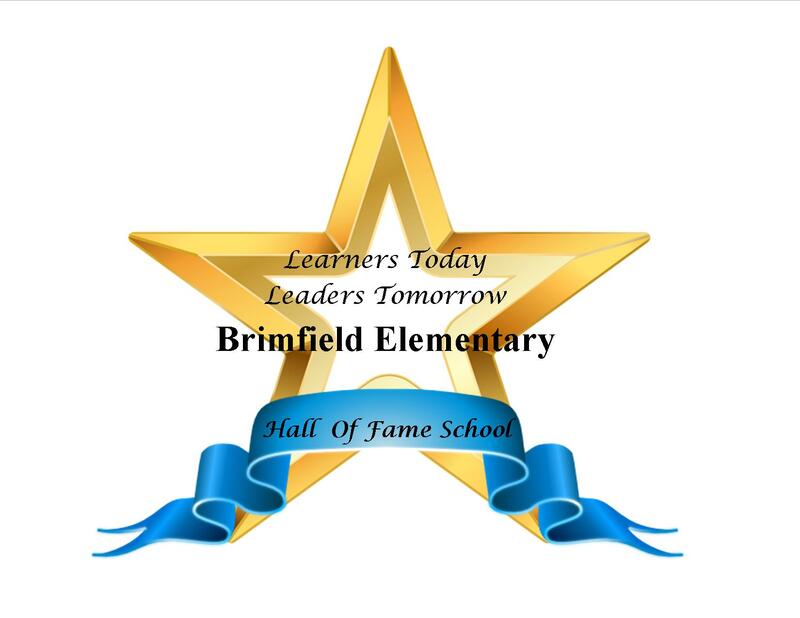 Brimfield Elementary will be accepting registration for the 2019-2020 school year in our office between 9:00 AM - 3:00 PM Monday -Friday until the end of the school year. Please register your child as soon as possible. If you have any questions or need further information, you may contact our office at 330-673-8581. Tickets will be $8 general admission and $5 students and seniors. Tickets will be sold at the door. Please see above schedule for Spring Testing dates. Please schedule vacations and doctor appointments on other dates if possible. Thank you. Make sure your child gets plenty of sleep the night before and eats breakfast on test dates. Save the date for "A Night At the Movies" featuring all 2nd grade and 3rd grade students on April 18th. The 2nd grade concert will be at 6 pm, and the 3rd grade concert will be at 7 pm. Come and enjoy an evening of well-known movie favorites and enjoy the art show with amazing art work from our awesome students. We hope to see you there! Parenting requires a daily balancing act—especially when it comes to raising tweens and teens. According to newly released research from the University of Texas Health Science Center, many of us should reexamine the health habits of our children (as well as our own) and help to make some adjustments. After studying the lifestyles of more than 60,000 American high school students, they found that only 1 in 20 young people are getting the recommended combined amount of sleep, exercise, and screen time. Click here for a discussion guide. Click here to access the Open Enrollment Application for the 2019-2020 school year. Big Red Community Foundation Street Banner Sale Street Banners are the newest project of the Big Red Community Foundation this year. Banners will be hung on telephone poles down St. Rt. 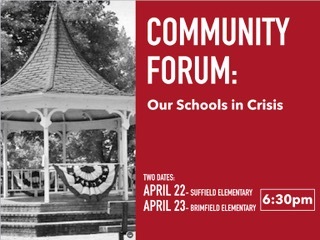 43 near the High School and Middle School Campus as well as by Suffield and Brimfield Elementary. The number of banners purchased will determine the whereabouts of the banner placement. If you are a business or organization and would like to use your logo instead of your name, please contact us for logo requirements. For more information on banners, costs placements, etc., please feel free to email Erin Roberts at lohrstar@gmail.com, or visit The Big Red Community Fund website at: http://bigredcommunity.com. Click here for the Early Entrance Application. Open Enrollment applications now being accepted for the 2018-2019 school year. Click here for application. The state of Ohio has put a new law into effect this school year with expectations of attendance for all students. Field Local School District has adopted this policy. The 2017-18 school year is here and Field Local Schools staff has exciting plans and high expectations for your child’s learning. We know that you also have many hopes and dreams for your child’s success in school and beyond. To make sure those hopes and dreams are realized, we want to ask for your commitment to making sure your child attends school every day possible this year. The evidence is clear: children with good attendance are more likely to be successful in school. High attendance rates are linked to high student achievement. This is true for every grade – elementary, middle, and high school students. Click here to read the policy. Field Local Schools has partnered with Summit Educational Service Center to provide Field's preschoolers with the best start to their educational experiences. The integrated program is for children ages 3-5 and offered to children at economic disadvantage or educational risk, children typically developing, and children with disabilities. For more information contact Brandie at Summit Education Service Center at 330-945-5600 ext. 511259. Please click this link for optional student accident insurance from Guarantee Trust. The Accelerated Reader Home Connect feature is up and running for students. Login to see your student's progress and point total. You can also enable the email notification system and receive an email each time your student takes a quiz. Looking for a book within a certain range? Use the AR Book Finder to help your child find an independent reading book. Click here for the link. We are very excited to announce that the Field Local Schools has partnered with FinalForms, an online forms and data management service that will be replacing paper forms. FinalForms allows you to complete and sign enrollment, back-to-school and athletic participation forms for your students. The most exciting news is that FinalForms saves data from season-to-season and year-to-year, meaning that you will never need to enter the same information twice! FinalForms also pre-populates information wherever possible, for each of your students, saving you time. Click on the Parent Playbook to read the help guide or click here to click here to get started in FinalForms. If you require any support during the process, scroll to the page bottom and click “User Support”. We are asking that ALL parents of students use FinalForms. Thank you for your assistance in streamlining our paperwork processes at Field Local Schools. Do you have extra time during the week and would like to substitute in the following areas at Field Local for the upcoming school year? We currently have substitute openings for custodians, playground monitors, cafeteria workers, bus aides, bus drivers,secretarial, study hall monitors, and educational aides (special education classroom). For more information or for a list of job descriptions and pay schedule, please contact Bev Bable, Executive Secretary at beverly.bable@fieldlocalschools.org. Download the new Field Local Schools App to stay up to date on news and events by clicking on the icon.